As a father, you need to teach your children that God can be trusted. Your children need to hear stories about how God has taken care of you and how the teachings of the Bible have helped you; that they are beneficial and not a burden. You need to constantly be teaching them the wisdom of God’s Word and how the scriptures teach us to live good lives. 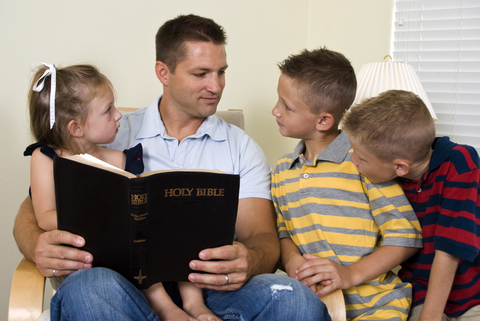 Tell your children how you avoided temptation and trouble by listening to God’s Word. By applying scripture to real life situations, you can show your children that the Bible is still relevant today and that it really does have all the answers. As you may well have concluded, this means that you too need to be knowledgeable about God’s Word. Take the time to read your Bible and teach your children to do the same. The Father’s Mandate: Fathers You Are Needed! Thoughtful Thursday: Dad or Dud?